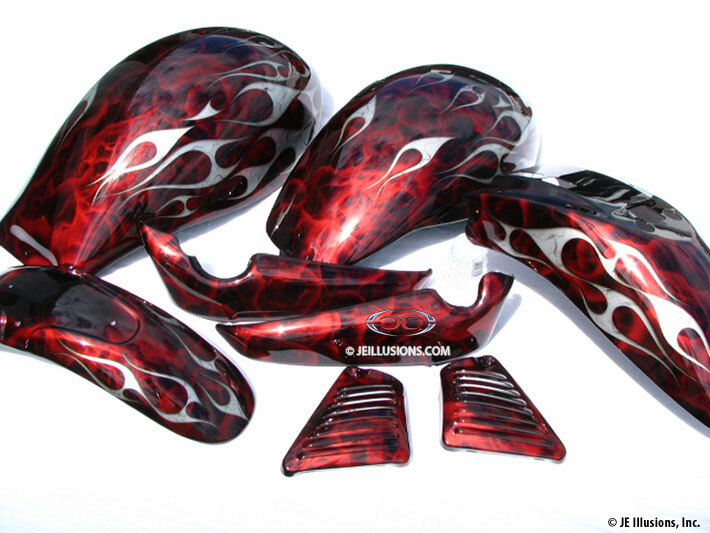 This set began with a deep 3D hand airbrushed, ruby red marble effect followed by shadowed and detailed tribal flames. 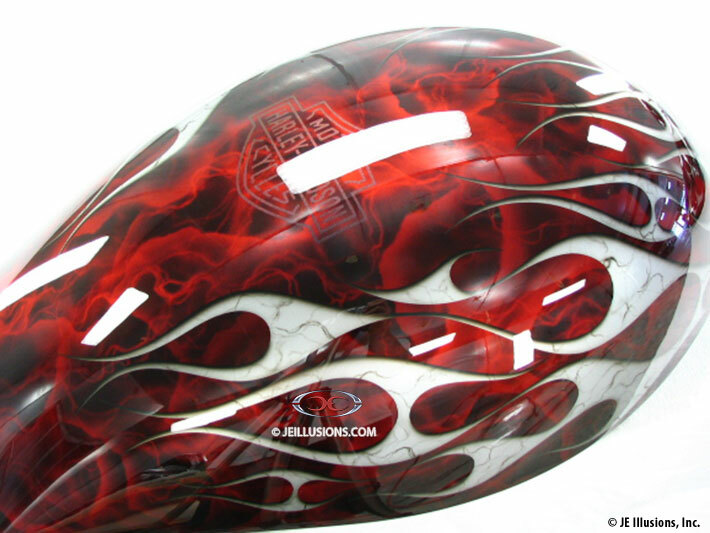 The flame design has rounded beveled edges for extra depth. Each flame was then airbrushed with fine grains to add texture.